We are a large and varied group of individuals who come to work every day to support you, your family, nieces, nephews, grandchildren, friends and neighbours. 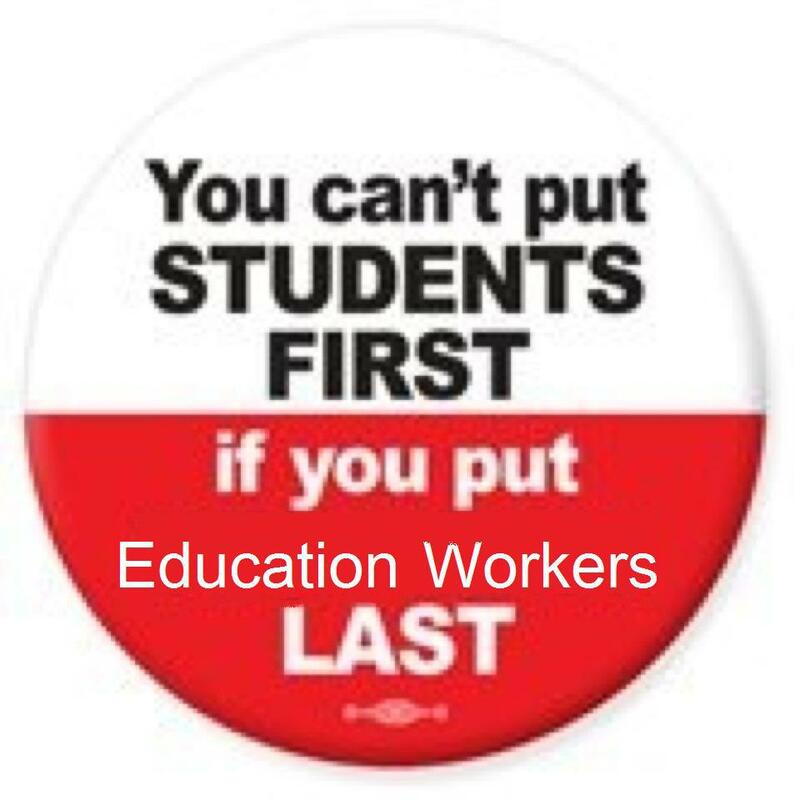 We are Canadian Union of Public Employees education support workers. We are secretaries/office managers, custodians, librarians, educational assistants, early childhood educators, child and youth workers, maintenance workers, social workers and information technologists (apologies if I have omitted any). We are all very fortunate to have our jobs, but unfortunate to be working without a contract, or even hopes of one being ratified soon. Our CUPE 1453 Executive are working diligently to support all of us through this, and are with us when we need them, day or night. On Sept. 10 we were in a legal position to begin a Work to Rule Phase 1 campaign in an effort to obtain a new Collective Agreement. Sept., no contract, and Work to Rule – Phase 2 came into effect. Will this action make a difference in our schools? Yes, it surely will make a difference, but not at the cost of student safety. What we are asking for is support, respect, and to be acknowledged that we are in fact, very vital to each and every student and parent who walk through the doors of our schools. Please take the time to read up on this in the news. It is affecting 55,000 workers in Ontario, and is well worth understanding the effects it is having not only here, but province wide. We are CUPE, and proud to be!